This lip balm set from Fresh has to my favourite present I received this year. Ever since I read about it on a blog a few months ago I've been trying to work the courage up to spend £50 on a lip balm set. I was close but despite how much I love the original version I just couldn't I decided to put it on my Christmas list though. So in the set you get 8 lip balms, 2 clear and 6 tinted. Despite how small the lip balms look in the bullet they're actually only half the size of the normal lip balms. You get 2.2 grams instead of 4.3 grams. As far as the lip balms themselves go, they're one of my favourites. It's up there with Nuxe Reve De Miel for me. 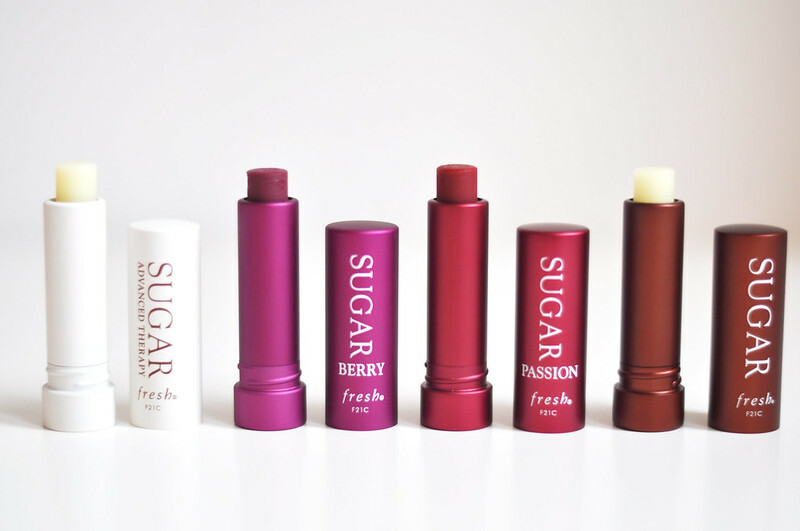 It's creamy and soft, applies like a dream and keeps your lips feeling moisturised. I can apply this at night and still feel it on my lips when I wake up in the morning. My favourite shades so far have been coral and plum. Lily from What I Heart Today blogged about the Berry version the other day and said that it was quite hard to apply because of the size of the bullet. With these mini version this isn't a problem though because they lip balm itself is the perfect size to apply the more pigmented shades. I would have swatched them all but because of the price I don't really want to waste the product. May sound silly but if you've tried one of these then you'll probably understand. This looks amazing! A great gift! 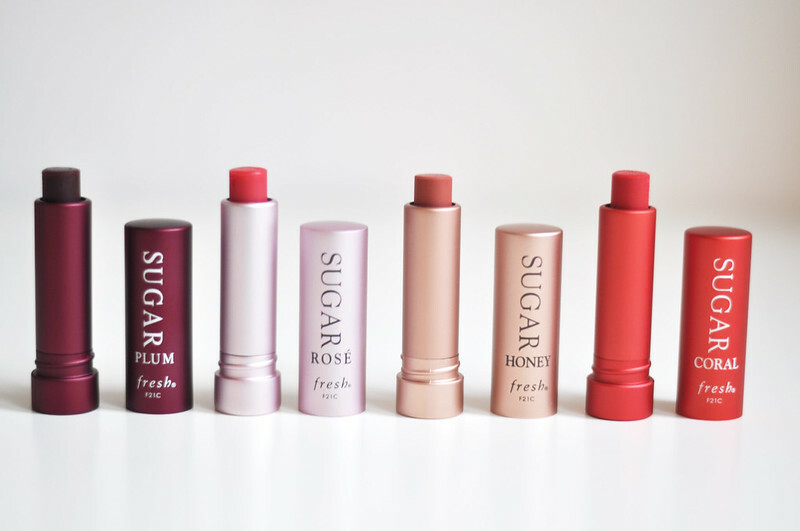 Really want to try the Fresh lip balms. I wish they were easier to find. I'm desperate to try these, just need to keep saving my pennies! I hope you enjoy them all! Lovely post! These lip balms may be a product that i'll try out this year and always have to have one or two on me at all times!